State Universities Lead Expansion of Persian Studies in U.S. This is the second article in a three-part series on Persian studies in the United States. Washington - The growth of Persian and Iranian studies in the United States can be viewed in several ways. One is through its evolution from the study of a predominantly ancient or classical civilization to a modern and international academic field. Another is through its pattern of growth at different institutions of higher learning, and a third is through the expansion of Persian language training. The growth of Persian studies as an examination of a modern language, literature and culture has been coupled with what professor Ahmad Karimi-Hakkak terms an ongoing "realignment" in where and how the subject is taught. Karimi-Hakkak is the director of Persian studies at the University of Maryland. In recent years, the traditional bastions for programs of Persian and Middle Eastern studies - Columbia, Princeton, Harvard and the University of Chicago - have grown less rapidly than newer programs at state universities. In some cases, older institutions have shifted their focus into more specialized areas of scholarship - whether Islam or Shi'ism, Ottoman culture or pre-Islamic Persia. As a result, the current growth in Persian and Iranian studies has been taking place almost exclusively at large state universities across the country. Among them are Ohio State University and the universities of Maryland, Texas, Arizona, Utah and Washington. In California, home to the nation's largest Iranian-American population, Persian studies programs are offered at university campuses in Berkeley, Los Angeles, Fullerton and Irvine. 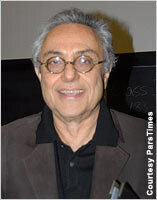 Kamran Talattof, now a professor of Persian studies at the University of Arizona, recalls that during three years of teaching at Princeton University in the mid-1990s, there were no graduate students in Persian courses and fewer than 10 students taking Persian for their language requirement. Today, Arizona has eight doctoral students alone in Persian and Iranian studies. "In the last 10 years, we have witnessed an increase in the enrollment in our Persian classes every year," Talattof said. The University of California at Los Angeles (UCLA) was the first university to offer specific undergraduate degrees in Iranian studies. It was followed by several other state schools, including Maryland and Arizona. A larger number of institutions offer bachelor's degrees in Middle Eastern studies with a concentration in Persian, including the University of Texas and the University of Washington. Approximately 800 students at UCLA take at least one Persian language or studies course each year, and 40 to 50 are majoring in the subject, according to professor Hossein Ziai, the university's director of Iranian studies. Persian language instruction, while modest in absolute numbers, has grown dramatically in percentage terms, reflecting the general trend of large increases in students studying non-European languages in the United States. The most definitive statistics come from the quadrennial survey last conducted in 2006 by the Modern Language Association (MLA), which looked at 2,800 U.S. colleges and universities. From 2002 to 2006, according to the MLA, Persian language enrollment jumped more than 90 percent in the United States, from roughly 1,200 to almost 2,300. That growth is roughly comparable to what the MLA terms "the most dramatic increases between 2002 and 2006 in Arabic (126.5 percent) and Chinese (51 percent)." Recent sampling data indicate that Persian language enrollments have continued to grow at more than 20 percent since 2006, according to Kirk Belnap, a professor of Arabic at Brigham Young University in Utah and director of the National Middle East Resource Language Center. "First-year enrollments can be unpredictable," Belnap said. "One thing that's heartening to see are increases in enrollments of second- and third-year students in Persian." Persian has benefited from several other factors. The United States regards Persian as a critical or "strategic" language - a designation it shares with Arabic, Russian, Chinese, Hindi, Urdu and Korean. 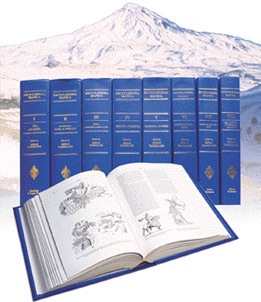 The Encyclopaedia Iranica is intended as an objective and exhaustive reference work on the history and culture of Iran. Beginning in the 1980s, the United States has provided funding for designated languages like Persian under what is known as Title VI. "The resources provided by Title VI have been indispensable in the quality and quantity of Persian instruction," said Talattof of the University of Arizona. Persian study has also been strengthened to some degree by the general movement of all foreign language instruction toward what is called the "proficiency approach." The proficiency model, in the words of the American Council on the Teaching of Foreign Languages, "shifted the emphasis from what learners know about language to what they can do with the language they have learned." "All modern languages have been swept up by the proficiency approach," Belnap said. At the university level, however, Persian and Iranian programs never succeeded in developing a unified curriculum, according to UCLA's Ziai, who said there is less concern about a national standard now than a decade ago. "There is general recognition today that diversity is good," he said. The expansion of Persian studies in the United States, especially at large state universities, has hardly signaled an end to more traditional modes of academic research. The most prominent example is the monumental Encyclopaedia Iranica, which has been termed "the most important scholarly enterprise ever undertaken in the field of Iranian studies." The massive enterprise is directed by one of the most widely respected scholars in the field, professor Ehsan Yarshater, who founded the Center for Iranian Studies at Columbia University in New York in 1967. The Encyclopaedia Iranica is the center's largest editorial project. Among its other enterprises are translations of a series of major literary texts, including a definitive 10-volume edition of the 10th-century national epic, the Shanameh, and the Persian Heritage Series, consisting of translations of Persian classics into major Western languages and Japanese. Harvard University's Center for Middle Eastern Studies is conducting a very different research project. Since 1981, the Iranian Oral History Project has recorded the memoirs of 134 individuals, totaling approximately 900 hours and 18,000 pages of transcripts. The Oriental Institute of the University of Chicago, founded in 1891, is now employing innovative digital technology to record and analyze thousands of ancient Persian tablets and clay fragments dating back 2,500 years. These artifacts, known as the Persepolis Fortification Archive, were discovered in 1933 by archaeologists working at Persepolis, where they were investigating the ruined palaces of kings Darius, Xerxes and their successors. The tablets have texts incised with cuneiform characters and Elamite script, or inked with Aramaic writing. Most have official seal impressions as well. "It is no exaggeration to say that this knowledge has transformed every aspect of modern study of the languages, history and society, institutions and art of the Achaemenid Persian Empire," said principal researcher Matthew Stolper in a university publication. By using high-resolution scanning techniques with polarized lighting, technicians create an image of a tablet that viewers can rotate, magnify, and shift the angle and intensity of the lighting, just as if they were handling the object itself. More than 30 institutions of higher learning with Iranian and Persian programs are members of the American Institute of Iranian Studies, which offers approximately 10 fellowships each year for advanced language training at Tehran University's Dehkhoda Institute. The institute also awards the prestigious Lois Roth Persian Translation Prize - most recently to Farzaneh Milani and Kaveh Safa for their translation of A Cup of Sin: Selected Poems, by the noted Iranian poet Simin Behbahani. Behbahani "writes courageously and incisively - a compelling female voice that does not flinch from poetic, personal or political engagement," the institute stated in its award citation. Part one: "Persian Studies in United States Reflects Dynamism and Growth"